Toby Long is a Professor in the Department of Pediatrics at Georgetown University, the Director of Professional Development at the Center for Child and Human Development, and the Director of the Georgetown University Certificate in Early Intervention Program. Dr. Long has been a leader in the field of early childhood intervention for over 35 years. She has held leadership positions within Georgetown University, professional associations, and in the DC community. Within the American Physical Therapy Association, Academy of Pediatric Physical Therapy, Dr. Long served as President (1999-2001), Board of Directors (1996-2000), Membership Committee Chair, and Delegate to the American Physical Therapy Association House of Delegates (2004-2014). Under her leadership, the Section created Pediatric Physical Therapy, the first peer-reviewed journal dedicated solely to pediatric physical therapy, of which she served as its first Editor (1989-1994). She was also a member of the Board of Directors of the Association of University Centers of Excellence in Disabilities from 2010-2013. She is currently a member of the DC Interagency Coordinating Council and serves as the Chair of the Legislative and Social Policy Committee. Dr. Long is the recipient of a variety of prestigious awards including being named a Catherine Worthingham Fellow by the American Physical Therapy Association in 2009, the Lucy Blair Service Award from the American Physical Therapy Association, the Jeanne Fisher Distinguished Mentorship Award and the Bud Dehaven Award both from the Academy of Pediatric Physical Therapy. She currently sits on the editorial boards of the Journal of Early Intervention, Physical and Occupational Therapy in Pediatrics, and Infants and Young Children. 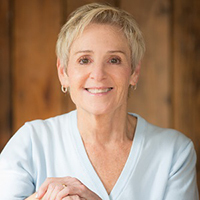 She is the author of 60 peer-reviewed publications including The Handbook of Pediatric Physical Therapy, Second Edition. Dr. Long can be reached at longt@georgetown.edu or at (202) 687-8742. Hickman, R., Wescott S., Long, T., & Raugh, M. Applying contemporary developmental and movement science theories and evidence to early intervention practice. Infants and Young Children, 24 (1): 29-41, 2010. Johnson, C. & Long, T. Use of diagnosis and prognosis by pediatric physical therapists. Pediatric Physical Therapy, 22: 392-398, 2010. Richards, J., Edwards, K.S., Lackey, M., Wallace, L., Calleson, J., Barber, C., Long, T., Lin, S., and Farel, A. Collaborative Learning and Technology Skills Development: Evaluation of an Online Annual Grantee Meeting. Maternal and Child Health Journal, 16: 1549-1552, 2012. Rahlin, M., McCloy, C., Henderson, H., Long, T. & Rheault, W. Development and content validity of the Therapy Behavior Scale. Infant Behavior and Development, 35:452-465, 2012. Carey, H. & Long, T. The pediatric physical therapist's role in promoting and measuring participation in children with disabilities. Pediatric Physical Therapy, 24 (2): 163-170, 2012. Silkwood-Sherer, D., Killian, C., Long, T., Martin, K. Hippotherapy-An intervention to habilitate balance deficits in children with movement disorders: A clinical trial. Physical Therapy, 92(5): 707-717, 2012. Long, T., Alotaibi, M., Kennedy, E., Bavishi, S. (2013). The efficacy of GMFM-88 and 66 to detect changes in gross motor function in preschool age children with cerebral palsy (CP): A literature review. Disability and Rehabilitation, 36(8), 617-627 2013. Su, X., Long, T., Chen, L., Fang, J. Early Intervention for Children with ASD in China: A Family Perspective. Infants and Young Children, 26(2), 111-125, 2013. 9. Lotrecchiano G.R., McDonald P.L., Lyons L., Long T., Zajicek-Farber M. Blended Learning: Strengths, Challenges, and Lessons Learned in an Interprofessional Training Program, Maternal and Child Health Journal, 17: 1725-1734, 2013. Catalino, T., Chiarello, L., Long, T., & Weaver, P. Promoting Professional Development for Physical Therapists in Early Intervention. Infants and Young Children, 28, 133-149, 2015. Zajicek-Farber, M.L., Lotrecchiano, G.R., Long, T.M., Farber, J.M. Parental perceptions of family centered care in medical homes of children with neurodevelopmental disabilities. Maternal and Child Health Journal, 19(8), 1744-1755, 2015. Zajicek-Farber, M. L., Lotrecchiano, G. R., Long, T. M., & Farber, J. M (Accepted for publication). Connections between Family Centered Care and Medical Homes of Children with Neurodevelopmental Disabilities: Experiences of Diverse Families. Journal of Child and Family Studies. Long, T. and Toscano, K. The Older Adult with Developmental Disabilities. In A. Guccione (ed.) Geriatric Physical Therapy, 3nd Ed. (pp. 553-566). St Louis: Mosby, 2010. Long, T. Early Intervention. In M. Batshaw, N. Roizen, and G. Lotrechiano (Eds.). Children with Disabilities, 7th Ed. (pp. 547-557). Baltimore: Brookes Publishing, 2013. Long, T. Using Appropriate Behaviors to Meet Needs. In S. Raver and D. Childress (Eds.). Family-centered early intervention: Supporting infants & toddlers in natural settings. (pp.167-187). Baltimore: Brookes Publishing, 2015. Long, T., Holloway, J. Musculoskeletal Developmental Disorders. In D.J. Magee, J.E. Zachazewski, W.S. Quillen, & R.C. Manske (Eds), Pathology and Intervention in Musculoskeletal Rehabilitation 2nd Ed. pp. 1005-1038. Maryland Heights, MO: Elsevier Inc. , 2015. Long, T. and Brady, R. Including Children with Significant Physical and Motor Disabilities in the Classroom. In F. Orelove, R. Sobsey, and D. Gillis (Eds.). Educating Students with Severe and Multiple Disabilities, 5th Ed. (pp. 61-98). Baltimore: Brookes Publishing, 2016. Long, T. and Holloway, J. Autism Spectrum Disorder. In RJ Palisano, M Orlin, and J Schreiber (Eds). Campbell’s Physical Therapy for Children, 5th Ed. (pp. 583-599). St. Louis. MO: Elsevier, 2017.